I love boys on drums honestly. If you know me well, you will know that more than half of the boys I ever fell for were drummers and are usually very muscular. 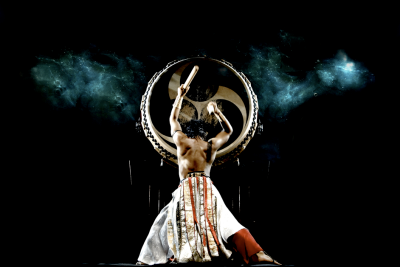 Which is why I am here to introduce DRUM TAO. This is by far my favourite picture. Look at all the abs. 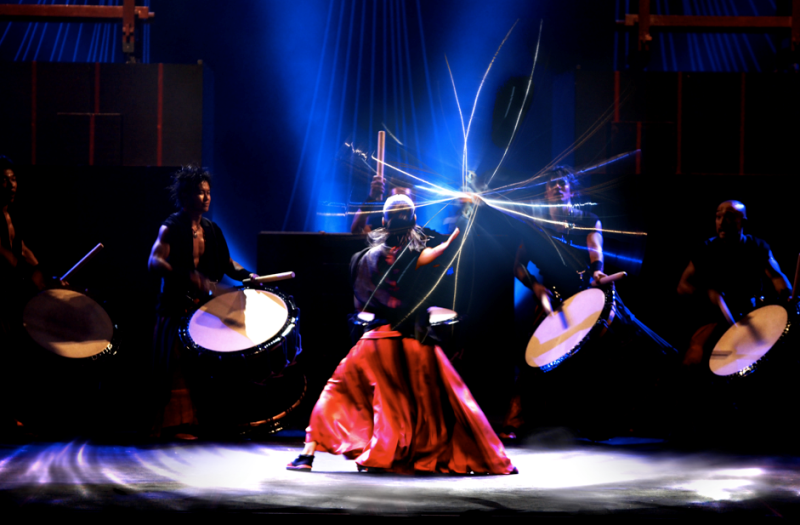 Drum Tao is a world renowned group of performers who originated from Japan combining martial arts and dance. 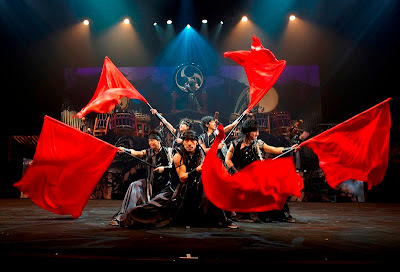 Remixing the traditional horizontal harps and bamboo flutes with the modern upbeat Wadaiko Drum beats, martial arts and dance, this performance will blow the minds off not only the young but also the old. Did I also mention that the Wadaiko Drums weighs 400kg each ? Which adds to the awesomeness of this performance. All the boys are gonna be muscular. 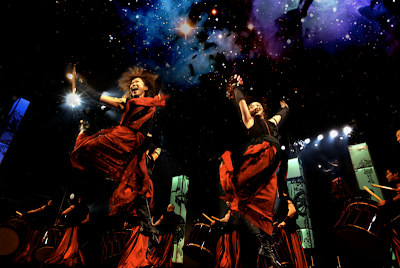 Not only are they one of the best drummers (not forgetting one of the strongest too), the energetic drummers in their red and black robes and their complex dance moves will leave you with an unforgettable memory. 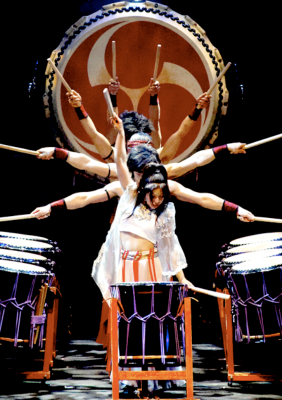 Here is a video to give you a hint on what Drum Tao is all about. 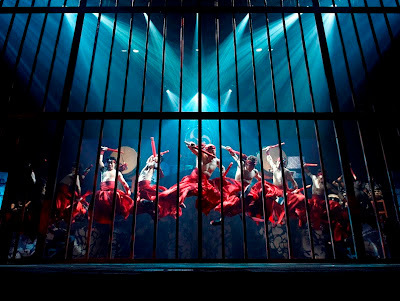 I don't think you can find this one of a kind performance any where else in the world. 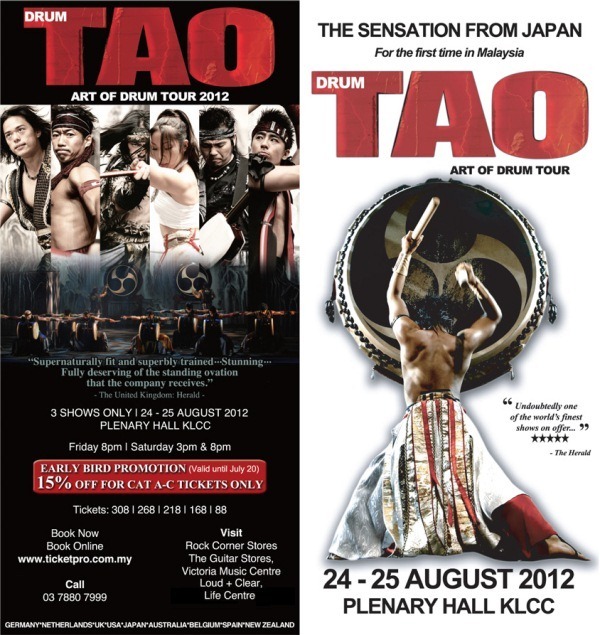 Except well at KLCC Plenary Hall from 24th - 25th August. 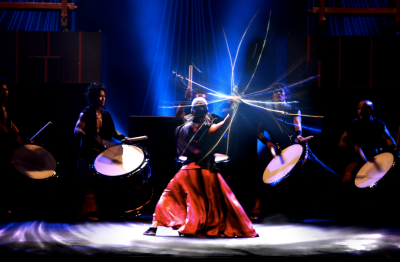 Drum Tao has been performing in 400 countries all around the world and this time they are performing on stage for the first time in Malaysia ! 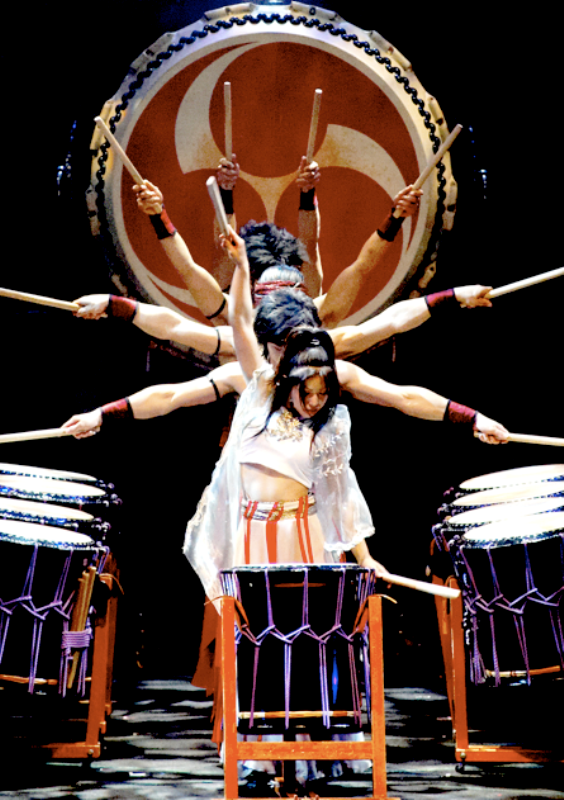 2 hours with 16 extremely strong Japanese Taiko drummers . You better be booking your tickets now. Don't hesitate to grab the tickets ! There is also an 15% EARLY BIRD DISCOUNT if you purchase your tickets before 20th July ! What are you waiting for then ? Asians love discounts so don't forget to grab this discount while it lasts ! This is one show you wouldn't want to miss. I'm sure I will love this performance to bits.